AMD has been awfully quiet about it’s manufacturing process plans for 2016 and beyond. We’ve heard the company’s CEO talk about the subject for the first time only a couple of weeks ago. During the Deutsche Bank conference in which he also uncovered some valuable information about next generation CPU and GPU architectures. Interestingly enough AMD published a press release last Thursday in which the company talked about 16nm,14nm and even 10nm manufacturing technologies. AMD Partners With Synopsys to Design Future CPUs and GPUs on 16nm/14nm and 10nm. AMD announced that it’s going to be partnering with Synopsys on 16nm/14nm and 10nm manufacturing technologies. Synopsys is a company that specializes in providing design companies with the necessary tools and services that enable the transition to more advanced process nodes. These agreements enable AMD to realize ongoing engineering efficiencies and focus engineering efforts on product differentiation. This means that AMD can now bring 16nm/14nm and 10nm products earlier to market and at lower cost. In a nutshell AMD gains all the IP and tools it needs for the next several years from Synopsys in exchange for some of AMD’s own IP and the relative engineering teams to develop and maintain it. This is projected to save AMD between $420 to $450 million by the end of the year. Of course this gives AMD less flexibility. However it stands to generate a considerable amount of savings for the company. AMD can then choose to dedicate its valuable resources to projects where they stand to gain more out of the investment. “Today’s announcement aligns with AMD’s continuing IP development strategy to focus our internal teams on designing the innovative 64-bit processor, graphics and peripheral IP that forms the foundation for our competitive differentiation, while leveraging Synopsys, the industry leader for cost-effective development of complementary standard IP components, for our future SoCs,” said Mark Papermaster, AMD senior vice president and CTO. 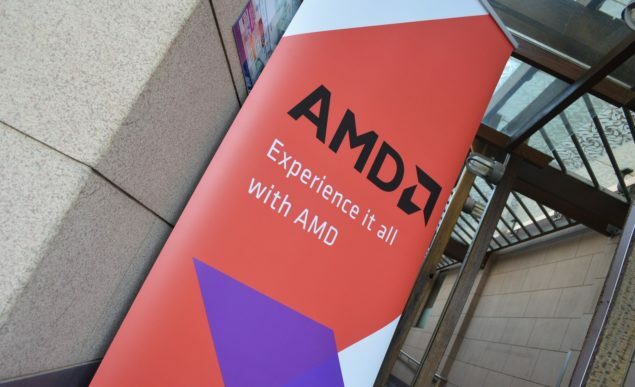 This a significant step towards cutting unnecessary operating expenses and forms a key component of AMD’s turnaround plan led by CEO Rory Read.